Engraving letters in wood can be done even if you don't know how to engrave by hand. Use a wood burning kit with various tips and a stencil or pattern. This will create any engraved sign that can look professional. 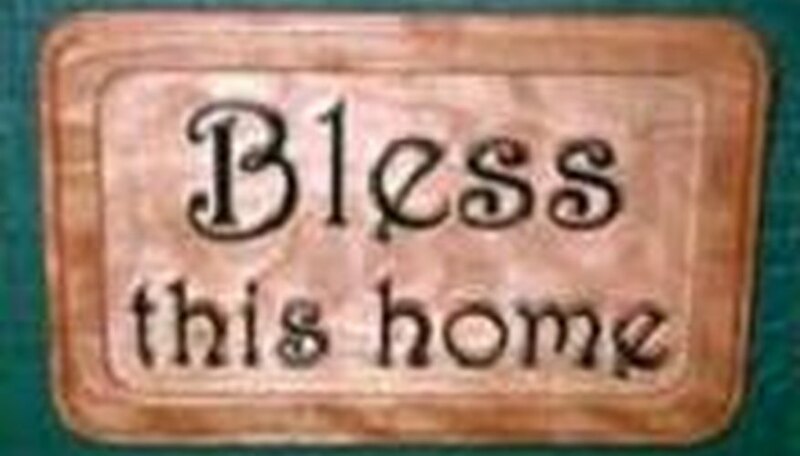 Wood burning kits and all related tips, directions and patterns can be found in most craft stores in various price ranges. Clean the surface of the wood with a dry cloth to remove any dirt and/or debris. Dampen the cloth with water only to remove any embedded dirt. Plug the wood burning tool with a tip that corresponds to the type of letters used. For example, if using a cursive handwriting letter, use a calligraphy tool; if using block letters, use a universal tip. Let the wood burner heat up. Practice writing on the practice piece of wood with the heated wood burner to get the hang of the wood burner and the tip being used. This will prevent any mistakes on the actual piece of wood. Set the practice wood beside the working wood to use as needed during wood burning after practicing. Cut the letters needed from the set of stencils and place them on top of the block of the working wood in the correct wording and design that is being used. Tape the letters to the wood with small pieces of masking tape. Keep as much of the edge of the stencils clear of tape in order to trace the letters. Trace the outline of the stencil with a pencil, copying it to the wood. Lift the pieces of masking tape that are overlapping the outline and continue tracing the outline, then replace the tape on the wood. Remove the stencils from the wood when tracing is complete. There will now be penciled-in letters on the wood. Begin in the corner of a letter and burn the wood with the hot wood burner in the outline of the letters. Be careful to stay within the lines for a more crisp look. Go slow in order to have a more even look to the letters. Continue burning the inside of the letters if desired or just leave the outline of the letters, depending on the letters' size. At this point, use the other tips of the kit to use for background shading if desired.